Hurricane Hoops - Thoughts and Reflections on the X & O's and Art of Basketball : Welcome to Hurricane Hoops! 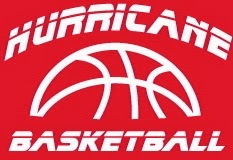 Hi Hoop Fans, my name is Coach Doug Reed and welcome to the Hurricane Hoops blog! I'm in uncharted waters with the layout and design of this blog, but it will be a fun journey as I look to share my thoughts on the X & O's and the overall beauty of the great game of basketball. So let's jump right in. Just sit back, relax, prop up the laptop and lets talk basketball!